Q1 : What is your main product? 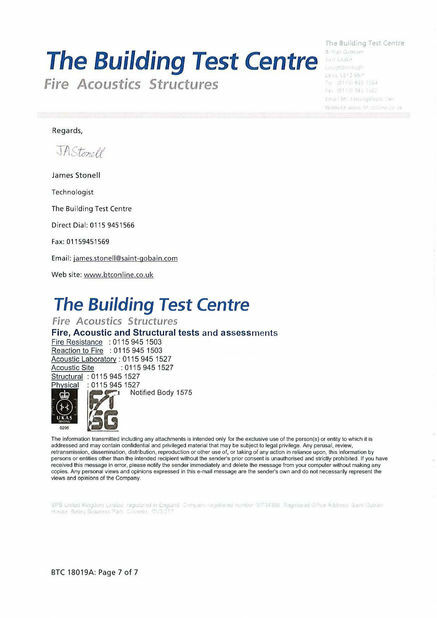 A1 : 1.We can supply the movable sound proof partitions system(including profile, hardwares, accessories)as well as the installation. 2. We can supply the office furniture, such as the office workstations,office chairs,conference table, office cabinates and other cubicles. 3. 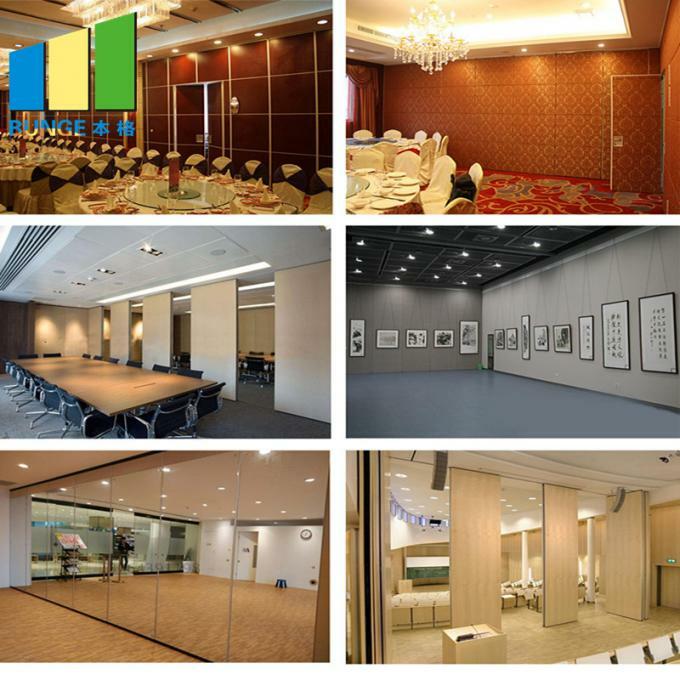 We can supply the glass partitions,movable glass partitions and fixed glass partitions also available. Q2 : What’s your price? A2 : The price is based on buyer's specific requirement, so please provide below information to help us quote exact price to you. 3) Type of glass (single or double or laminated or others) / thickness of glass ( 5mm or 6mm or else , if you have no idea we can recommend according to window size) /colour of glass (clear, tinted, reflective, Low-E or others, with Argon or without). Q3 : What is the standard size ? A3 : Our product is CUSTOMER MADE. We always manufacture wall partition according to buyer's dimensions. Q4 : What is your delivery time? A4 : For the series we stocked 10 working days with 300m2 , For the series unstocked 40 working days with 700m2. Q5 : What is your payment terms? 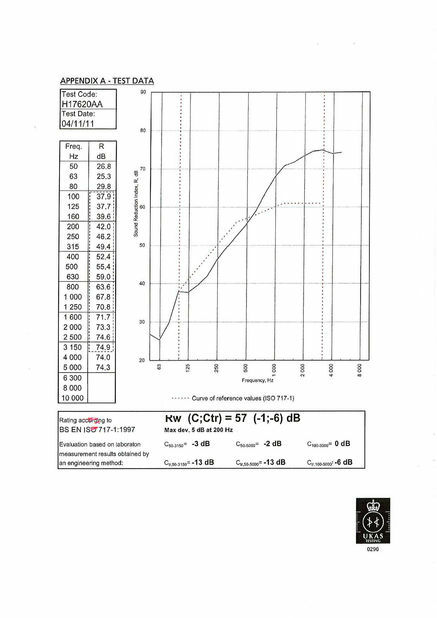 A5 : 30% - 50% of total amount by T/T as deposit when confirmed the order and balance paid by T/T before loading container. Q6 : What is your warranty ? What do we do in case of problems? A6 : 5 years quality warranty is provided, including frame unfading nor peel-off, hardware and accessories working properly under correct operation.In case of our quality problem, we will provide replacement by international courier. Immediate delivery of replacement parts with available in stock, and if not stocking, the time should be depending on material ordering time which is normally 10-15 days. 1.Track installation:Suspension fixed way is at the top of the sound proof partition board install the hanging wheel, and connected to the track suspension. The track and hanging wheel should be chosen according to the partition size and load weight. 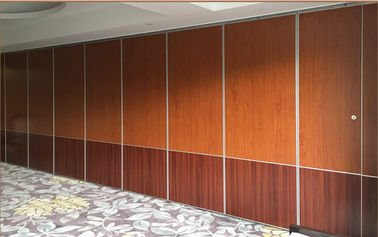 2.Sound proof partition panel installation: according to the design drawing, draw on each partition panel to mark the line wheel, fix the wheel with screws on the partition board top; Then the sound proof partition walls panel be put into track, let each panel in the perpendicular to the ground; Test and push-pull flexible rotation, and finally to fixed connection. 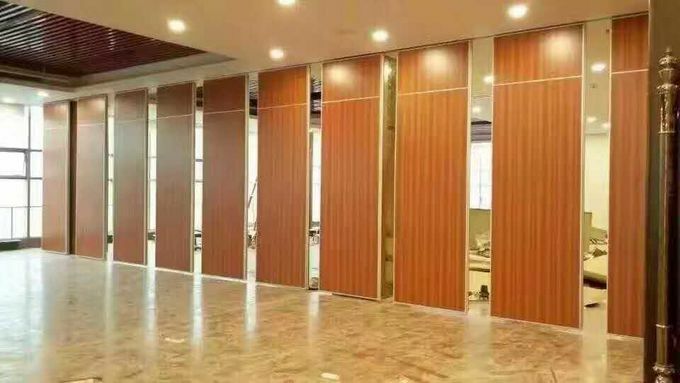 3.Debugging: movable sound proof partition walls panel need to discretion, sealing and so on debugging after installed. Then cleaning up the panel, complete the installation work. 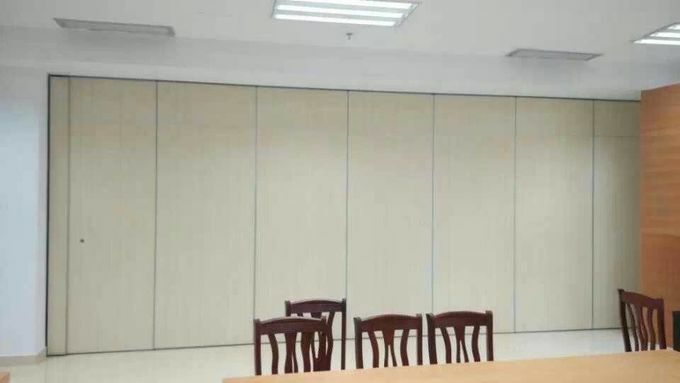 4.Sound proof partition is exclusively used as the facade of the separation in the interior space, its' application is more flexible, it usually produce the blocking effect, generally don't do it under the board, some of it even can move.The biggest difference between partition and wall is that a partition is made under the plate, that is to say, the height of the facade is different. 5.The operate method of scalability fully embody the people-oriented concept, flexible tactile touch, spring operation became more safe and durable. 1. Overhead type track, you just need to install the orbit on the floor or on the rack, there is no track on the floor, have no damage on the ground. 2. Unique aluminium materials ,which can be used for painting. 3. It is convenient to collect,plate can be hide in special coffer, have no effect to the whole appearance. 4. It is widely used for many occasions.